Citrus growers in the Central Valley say fewer trees are producing fruit, so the price of citrus could increase at the grocery store. But, farmers' costs have skyrocketed because of the drought. Zack Stuller is a grower in Exeter. He says he hasn't received water from the Central Valley Water Project in two years. He has spent $2,000 an acre foot for water from distant agencies and $70,000 to dig a well for six-acres of lemons. Stuller: "For the amount of acres that's there, doesn't pencil. But, I'm not going down without a fight. I'm gonna keep my trees alive." Stuller says his trees are stressed, but are still producing fruit. Stuller: "Think of a citrus tree as running a marathon. It runs all year and you're giving it the water that it needs. But, if we don't have any water next year or if we don't give it the amount of water that it truly needs, it might produce a good crop that we're gonna get a price for this year. Next year, that poor tree isn't going to produce." Stuller says he has already stopped growing most of the row crops he used to grow. There is no guarantee of water allocations next year, even if California has average or above-average rainfall. California Citrus Mutual is a grower's group. It estimates 20,000 to 25,000 acres of citrus trees in California will be removed this year. Over that last few years the citrus industry was hit hard by a freeze, a drought and a disease. This year, as Ezra David Romero reports from Visalia Thursday, the industry faces even more issues. 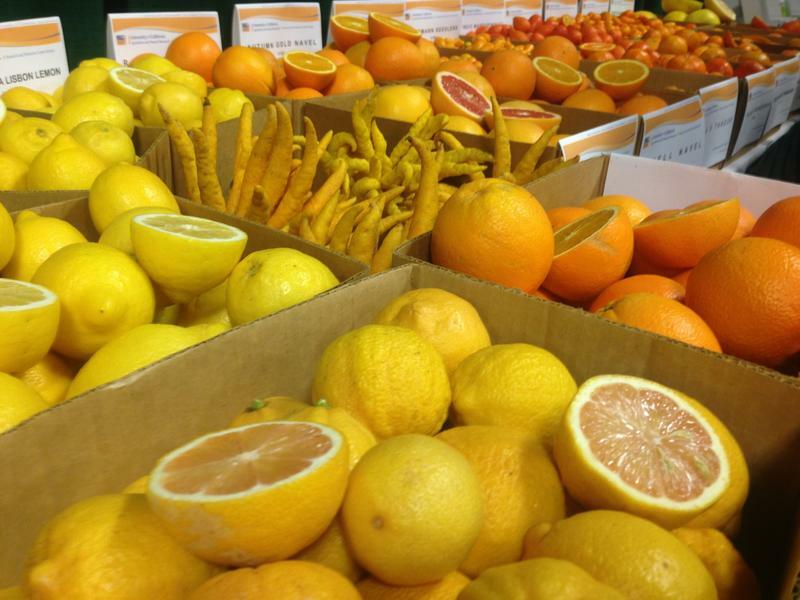 In the heart of California’s orange country more than 200 growers met this week at the 2015 Citrus Showcase to collaborate on how to keep their tangelo, lemon and mandarin trees producing ripe and juicy fruit.